First off, I would like to apologize for my long inactivity. Even after passing Level 50 here, I still didn't bother to submit anything for the people who keep up with my work. 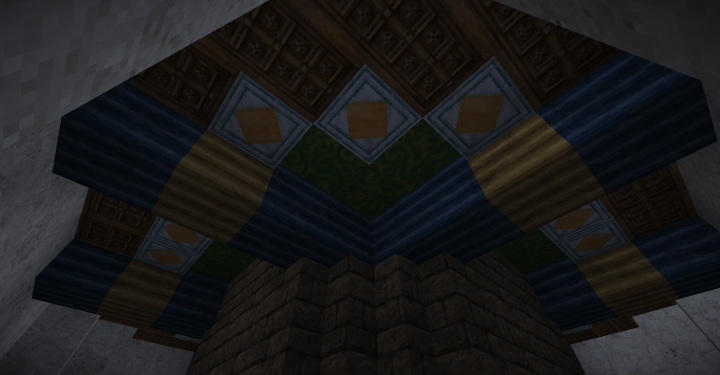 Thankfully for my increasingly guilty conscience, I now have something to share. 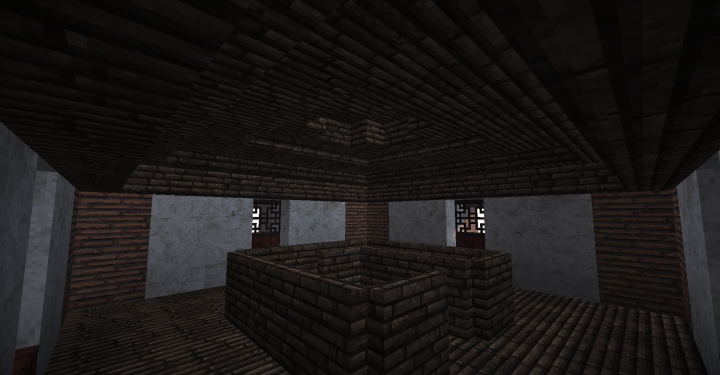 It's rather different from the many maps that I'd been almost exclusively posting for a long time. 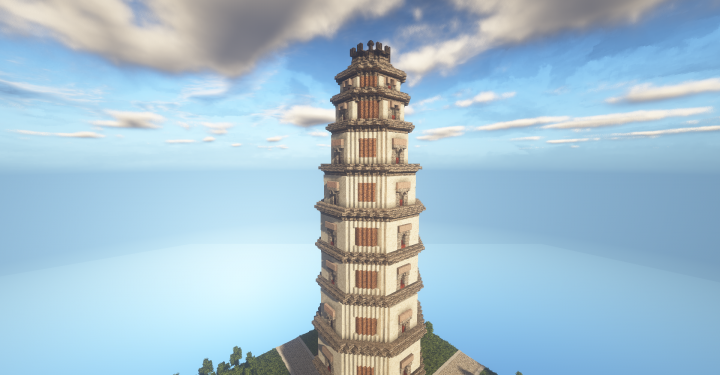 My latest PMC creation is a real-life Chinese pagoda. Liaodi Pagoda is located in Dingzhou City, Hebei Province, China. It was constructed during the Song Dynasty in 1055. 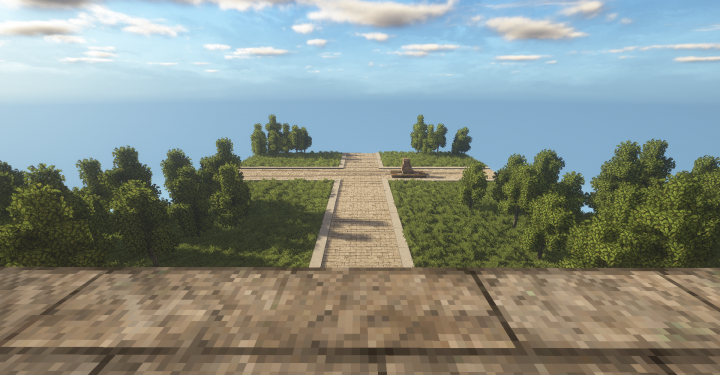 At the time, it was part of a monastery complex, but also had a secondary purpose as a watchtower to observe any raiding parties sent by the rival Liao Dynasty to the north. 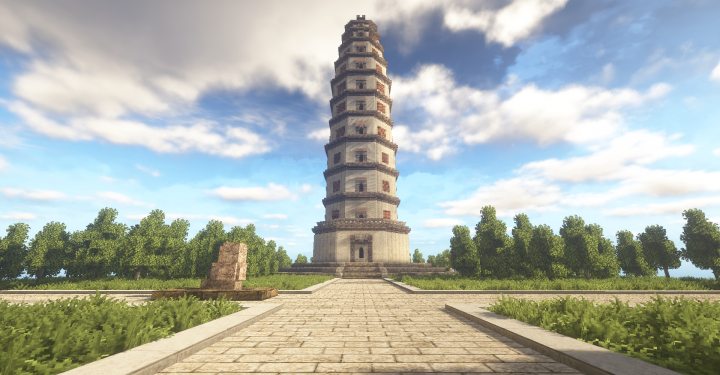 The monastery no longer exists, but the pagoda still stands. 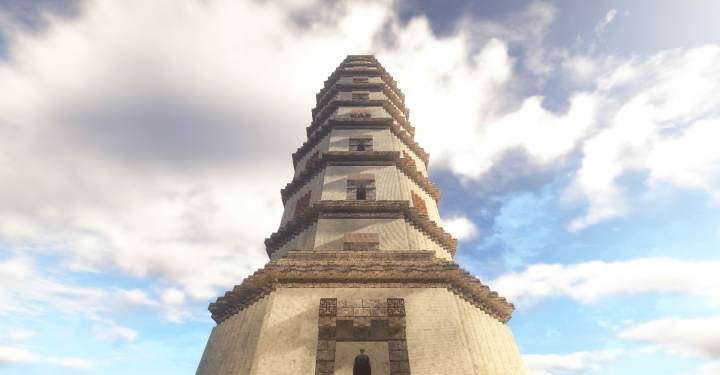 The reason that I selected it for recreation is that this particular brick pagoda is the tallest remaining pre-modern pagoda in China. 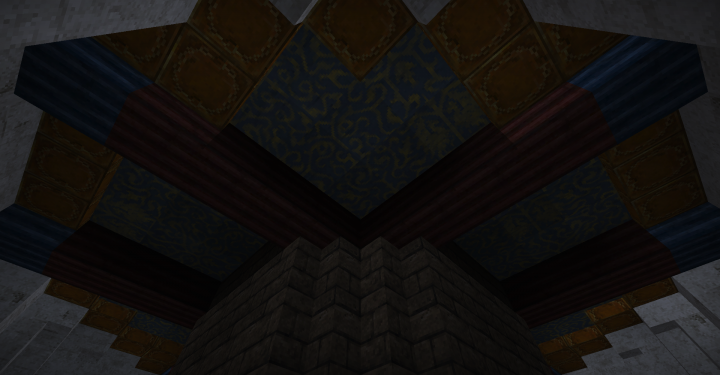 Beyond that, I found it's rather dramatic tapering shape appealing. 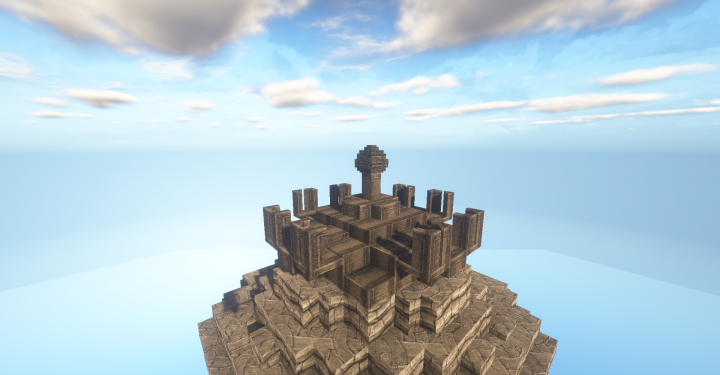 My recreation, like the real version stands 84 meters tall and has 11 stories. 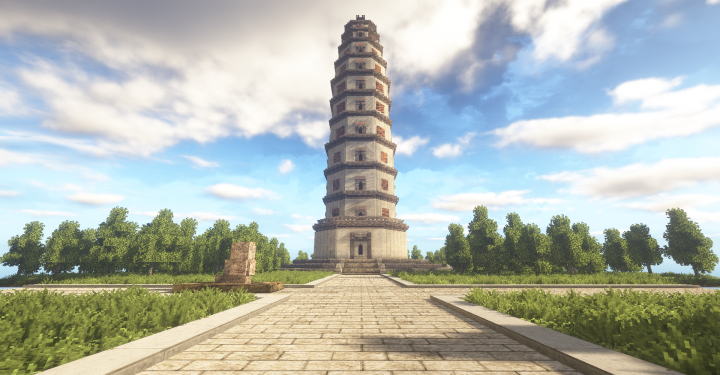 I have replicated the exterior to the best of my abilities, and placed the pagoda in a park-like area loosely based on the real park that it is located in in Dingzhou City. 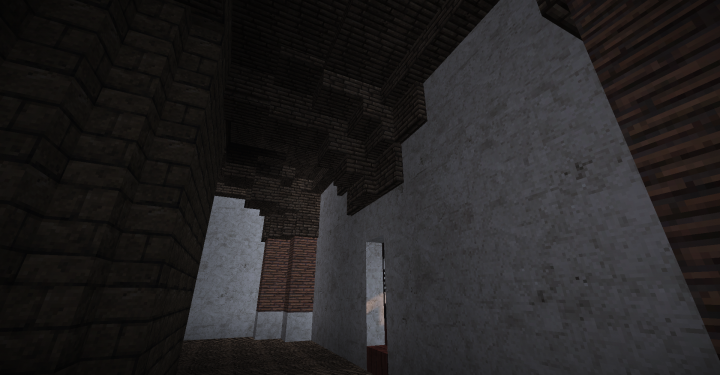 Because I could not find any pictures of the interior, I have mostly left it empty, apart from the vaulted brick and painted wooden ceilings that were mentioned in some accounts. Here is the Wikipedia article if I missed anything. 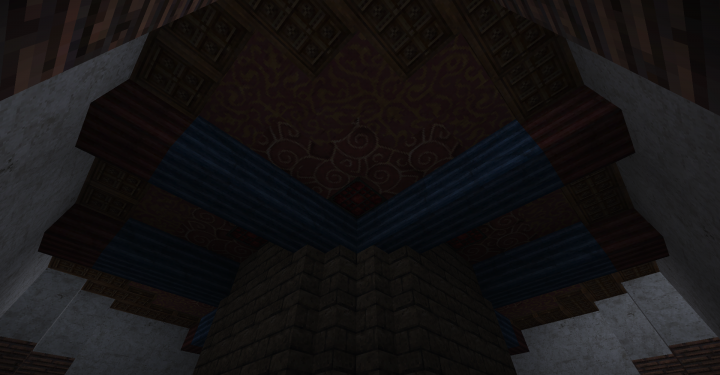 Disclaimer: This build requires the 1.12.2 version of the Conquest Reforged mod to function. 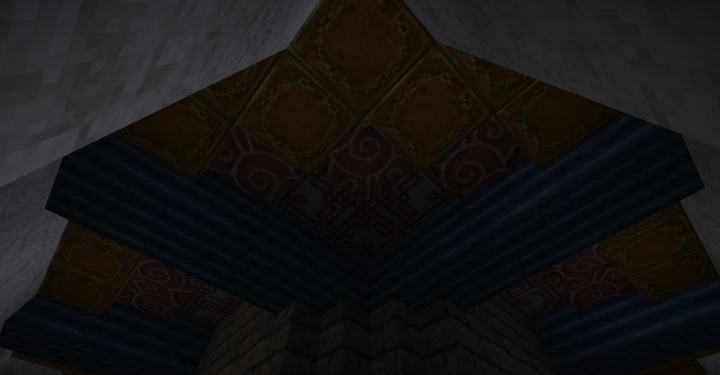 It is absolutely essential; the map will not load properly without it! I intend to be somewhat more active going forward than I have been in the past few months. 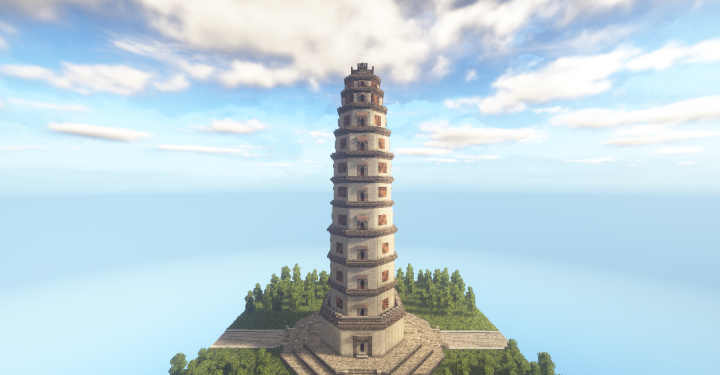 I hope that you enjoy my recreation of this historic pagoda.